This will be the final installment for the Talavera site. 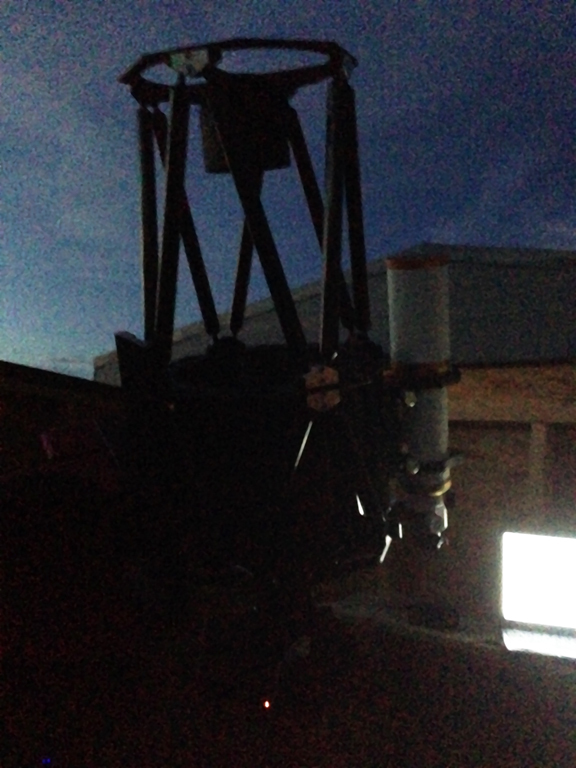 I upgraded my main scope from an Astrotech 10RC to a 12″ carbon truss. It just barely fits in the 8 foot square structure! 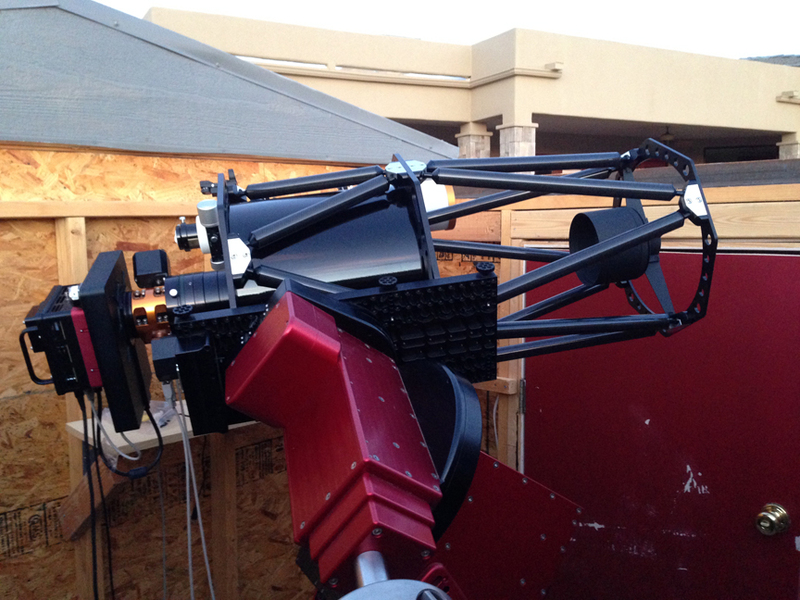 Mounted on the 12 is a William Optics GT102 refractor. The camera is an SBIG STXL 6303E. I went back and forth on the main scope. I never have been comfortable with the SCT design for deep space imaging due to the fact that you have to move the main mirror to focus and if you decide to focus using the optical train then you have to lock the mirror, so you are basically converting it to a fixed mirror design anyway! The RC optics are proven and the Astrotech line is solid in my opinion. I was very happy with the performance of the 10 so I felt an upgrade to a 12 was reasonable. I think if you go much bigger than 12 in this location probably it’s a long run for a short gain with the increasing light glow in the area, not to mention it wouldn’t fit anyway! The long range plan will be eventually to use this site for planets, spectroscopy and video and do the deep space imaging up at Stars End once it’s completed. Of course we will have a much different set up up there! I upgraded the camera to the new SBIG 6303 sensor. I don’t see how you can do better than a self-guiding camera. The new line of cameras has the guider in front of the filter wheel so you don’t have to worry about guiding through the filters! The 6303 is twice the size of the sensor in my old ST8XE but still not considered a full frame camera. 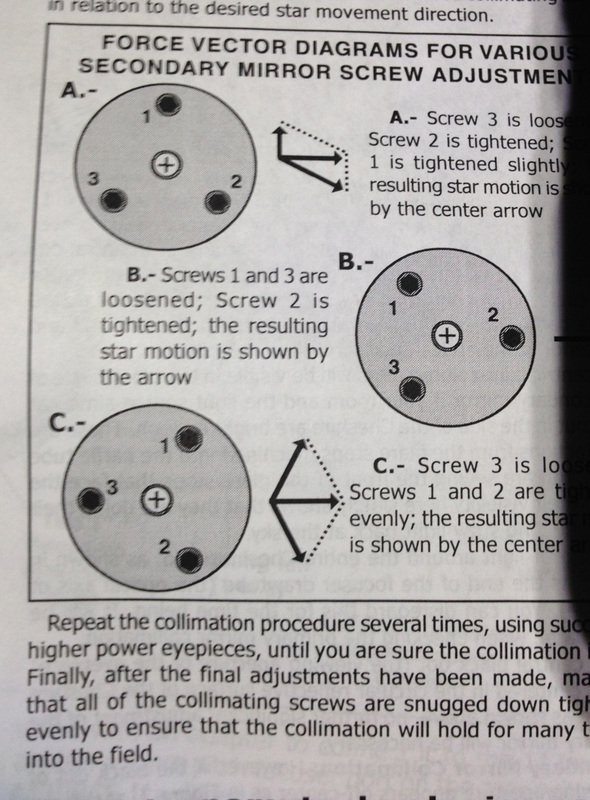 While the RC optics are great, there is field curvature esp without field flatteners. This would be accentuated with the full frame sensor. Plus the 6303 has a much higher QE than the 11002. 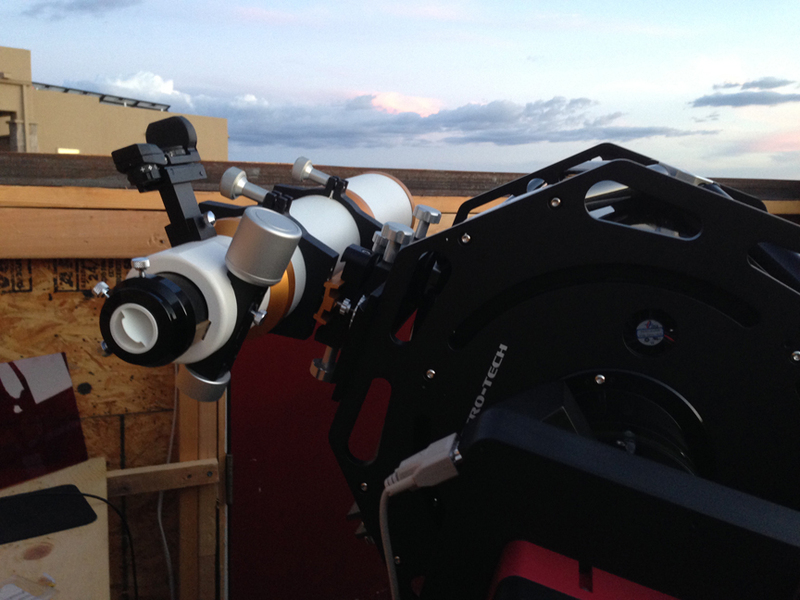 Mounted on the RC is a William Optics GT102 triplet apo. Excellent value for a 4″ triplet. 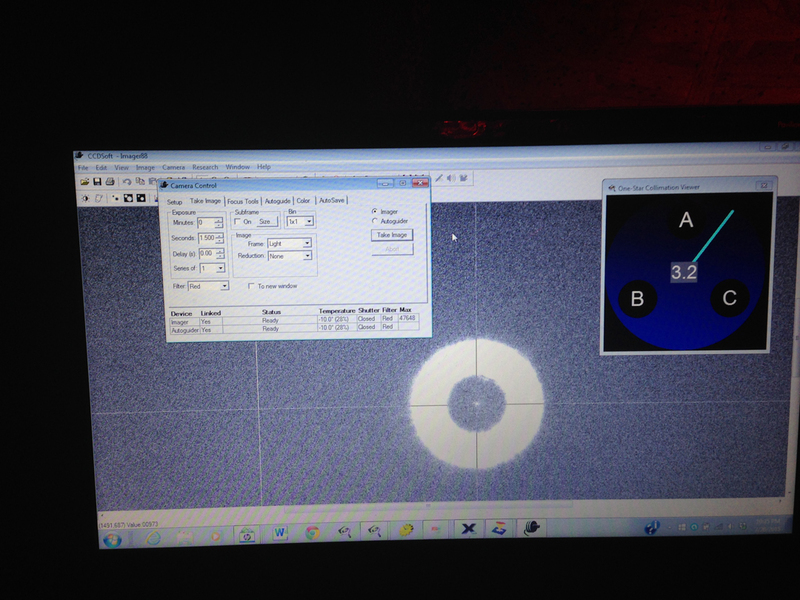 This is used mainly for video astronomy but periodically I will play around with dslr wide field imaging! Messier 81 or Bode’s Galaxy is a spiral galaxy 12 million light years away in Ursa Major. 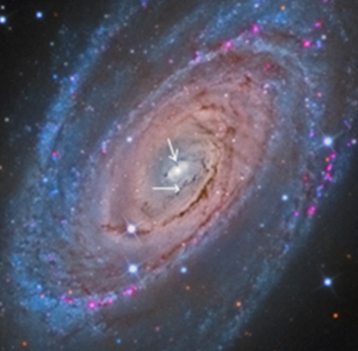 It is a favorite target for both professional astronomers who study its active galactic nucleus harboring a 70 million solar mass super massive black hole, and amateur astronomers who take advantage of the large size and brightness for both visual observing and astroimaging. 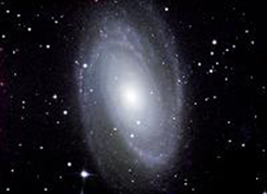 Back in 2007 I took my first image of M81. I was just thrilled to be able to take an exposure longer than 1 minute and capture any detail with round stars! In under 10 years with improvement in equipment and processing techniques, much more information about the structure of this galaxy is now appreciated. In my recently completed image of M81 (full res version can be found on the flickr site- see link to astroimaging) you can see not only Arps’s loop, Holmberg IX galaxy but also some very interesting nuclear structure! This is not processing artifact folks. I have not seen this on any published image thus far and wonder what physical properties give rise to them! We have come to assume that galactic nuclei in visible light are just bright blobs of gas, but clearly this is incorrect! M81 just completed. 10″RC and SBIG STXL6303E. Larger arrows point to the now appreciated “Arp’s loop”. This is a loop of gas emanating from the galactic disc but recently at least some of this is believed to exist in our galaxy as “galactic cirrus”. Halton Arp was an astronomer who catalogued interacting galaxies and galaxies with unusual structure and features. 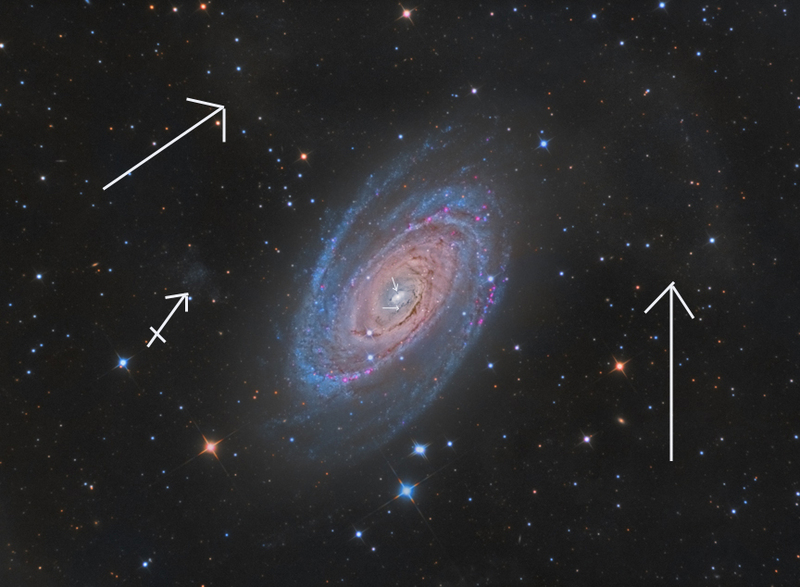 The smaller hatched arrow points to Holmberg IX, a dwarf irregular satellite galaxy of M81 formed only 200 million years ago, the youngest nearby galaxy! Arrows point to peculiar nuclear structure! The arrow closer to the center points to a strange vertical projection of dust toward the center of the nucleus with a round knob-like top! What is it and what causes it? Who says imaging is not science! The arrival of the New Horizons probe at Pluto has a special significance to us here in Las Cruces. Clyde Tombaugh, who discovered the now dwarf planet in 1930 settled here in 1955 and taught at New Mexico State University until 1973. He founded the Astronomical Society of Las Cruces of which I am a member. When I first arrived here 2 years ago I remember seeing his name everywhere. He was certainly an icon here. There are Clyde Tombaugh elementary schools, streets, and local observatories bearing his name. Since then many people have shared moments they have had with him here as students, friends and colleagues. Ironic that we decided to move to the town where the only American astronomer credited with discovering a planet made his mark! So far the images of Pluto certainly look like a planet. 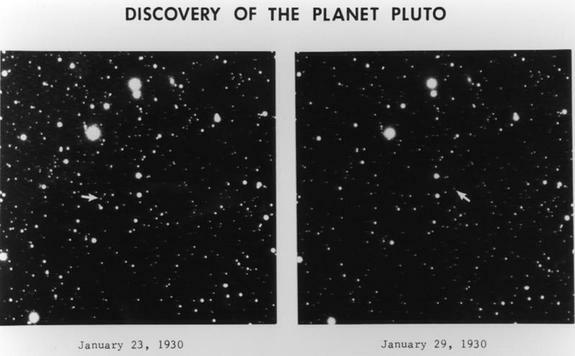 Original plates obtained by Tombaugh at Lowell Observatory showing Pluto relative motion. 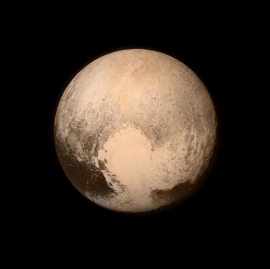 This was particularly fascinating to me as you can see Pluto is a mere faint pin head of an image! ALCON 2015 comes to New Mexico! The Astronomical League is one of the largest groups of amateur and professional astronomers in the world. Every year they hold a national convention in different sites around the US. This year they came to Las Cruces! 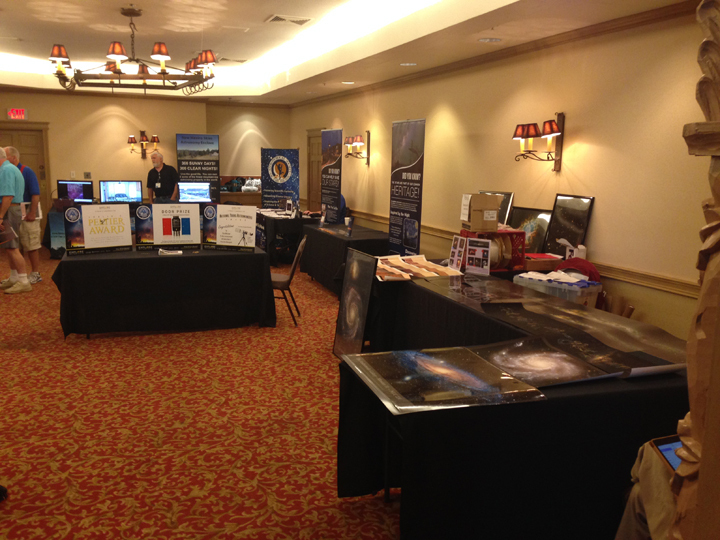 The Astronomical Society of Las Cruces of which I am a member was responsible for organization and hosting.We spent the last year and a half preparing. “The Astronomical League is composed of over two hundred and forty local amateur astronomical societies from all across the United States. These organizations, along with our Members-at-Large, Patrons, and Supporting members form one of the largest amateur astronomical organizations in the world. Our basic goal is to encourage an interest in astronomy (and especially amateur astronomy) throughout America. Many people have seen pictures of the other planets in our Solar System from spacecraft, but have no idea that they too can see these objects with a telescope. We want people to get access to telescopes, whether it is through their local astronomical society, school, or their own instruments, and use them to view the beauty in the heavens. As New Mexico is considered by many to be “America’s dark sky paradise” there was a very good turnout. We had over 150 registrants. 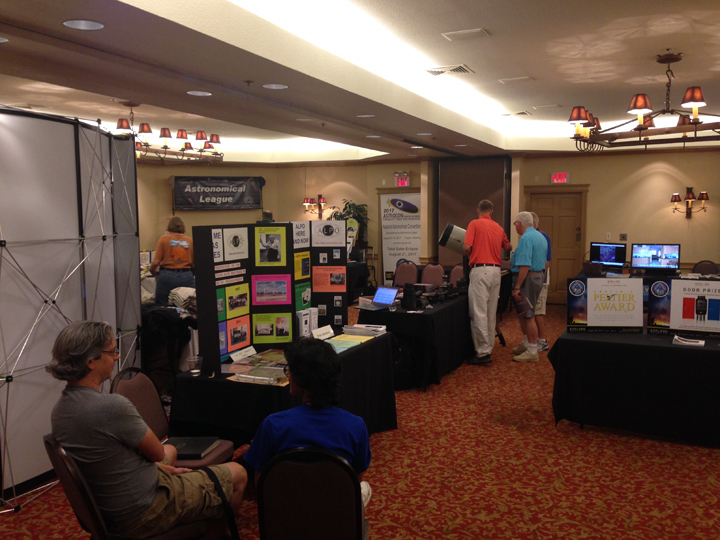 I was chair of the Vendors Committee and we had several vendors including Celestron, Astronomical Society of the Pacific, International Dark Sky Association and New Mexico Skies Astronomy Village. Several excellent speakers presented. My favorite was Dr Ifan Payne, the director of the Magdalena Ridge Observatory where they are building an optical interferometer. Unfortunately we are in the midst of our Monsoon Season which is basically the month of July but we got hit pretty hard on the day of the much anticipated StarbQue at Leasburg State Park where we were to have our big star party. Overall I would say ALCON 2015 was a big hit despite the weather and my guess is they will be back! Solar Star Party at ALCON. Weather was good during the day but rapidly declined toward evening. 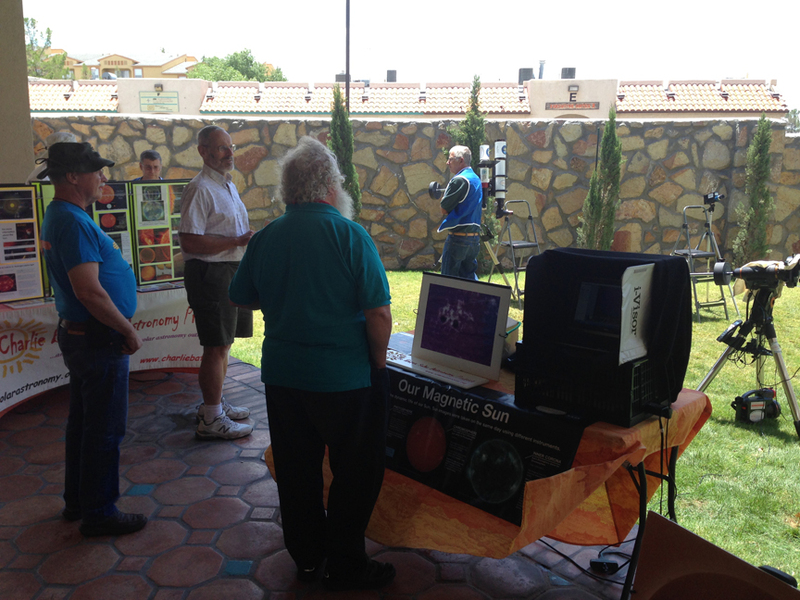 Several volunteers came down from Albuquerque with their solar observing gear! More vendors at the conference. NMS booth is at the rear. They were probably the busiest of all! Yours truly and NOT a Walmart greeter despite the cheesey blue vests we were wearing as ALCON Committee members! 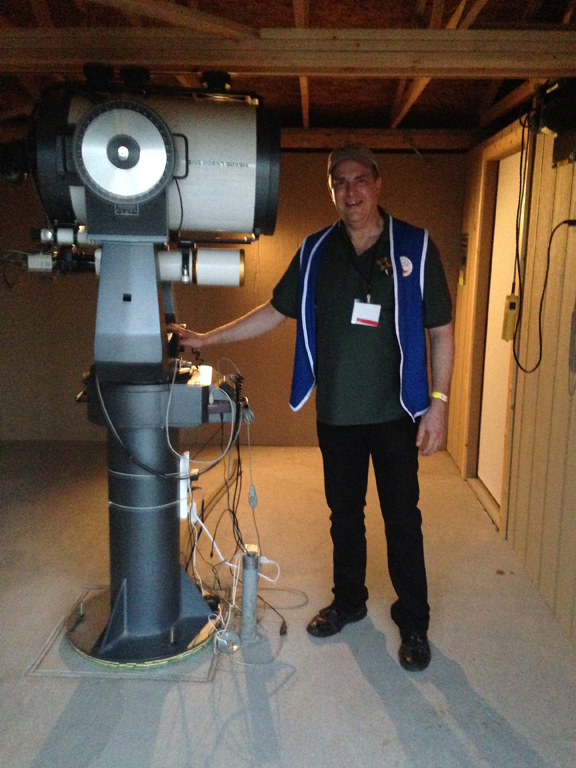 I am the Observatory Chairman for our Astronomical Society and our main observatory houses a classic 16″ Meade and 110 refractor. We do a public show once a month and this features visual observing through the 16 and live video feed through the refractor to an LCD at the back of the observatory. The structure is owned by the Park and was built for the club. We own the scope which is an older SCT donated by New Mexico State University. As light pollution continues to spread throughout the world like a cancer, the quest for dark skies becomes more challenging. Luckily for me I live in one of the last dark sky bastions in the US: the Desert Southwest. However even in the town of Las Cruces, light pollution is a problem. To the south is what we call the “El Paso Nebula” and the ever growing city causes significant light glow to the West. The good news is we are not far from dark sites. Just a little under 2 hours to the Northeast lie the Sacramento Mountains, home of the famous enclave New Mexico Skies. We drove up there when I first moved out here and was discouraged to learn of the prohibitve costs of setting up a remote observatory. But soon after realized I could cut significant cost because I actually live here and don’t have to operate it remotely! Yay! Since I do a lot of automated imaging I have become keenly aware of the myriad of problems that can come up just during automated sessions even with the best software and equipment available. Now tack onto that opening an actual observatory remotely, synching the dome to your scope, weather surveillance and equipment for emergency shut down of your facility, etc etc. Plus you lose out on the greatest thing about darks skies….actually being out there! Now NMS is perhaps the most well known development in the area but the ownership there charges a huge premium for everything, especially land. 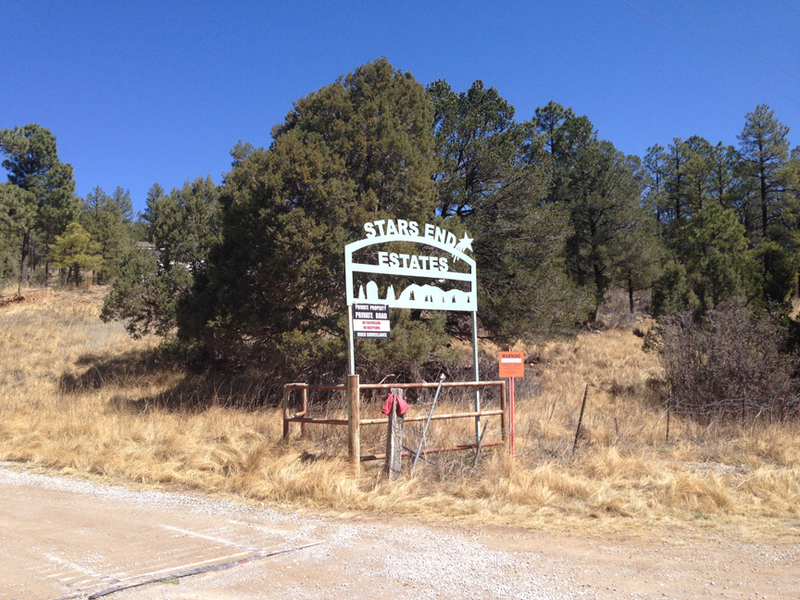 On the other side of the valley from them is another astronomy enclave called Stars End and it is here where we found a perfect 3 acre lot for the site of Stars End Observatory! The same lighting ordinances exist and several observatories have been build but there is no ownership to get in the way and charge multiples of market price. To the North is the Lincoln National Forest and to the South is an unobstructed view (after appropriate site work obviously!) of the Southern Horizon to enable capturing all those precious southern Milky Way objects! Just to the North of the dead tree in the image which looks like an ancient obelisk of some kind (my kids don’t want me to take it down!) the land flattens out for a perfect sliding roof observatory site! The area is a prime dark site about 7200+ altitude. Nestled in the valley there is outstanding seeing. Bortle 2 skies (1 being the darkest). We are about halfway to the Summit which I found desirable as they do get high winds there and winter weather so we are somewhat protected. The project is expected to take 2-3 years to completion. First will be clearing the lot and site work, followed by installation of housing and finally the observatory! 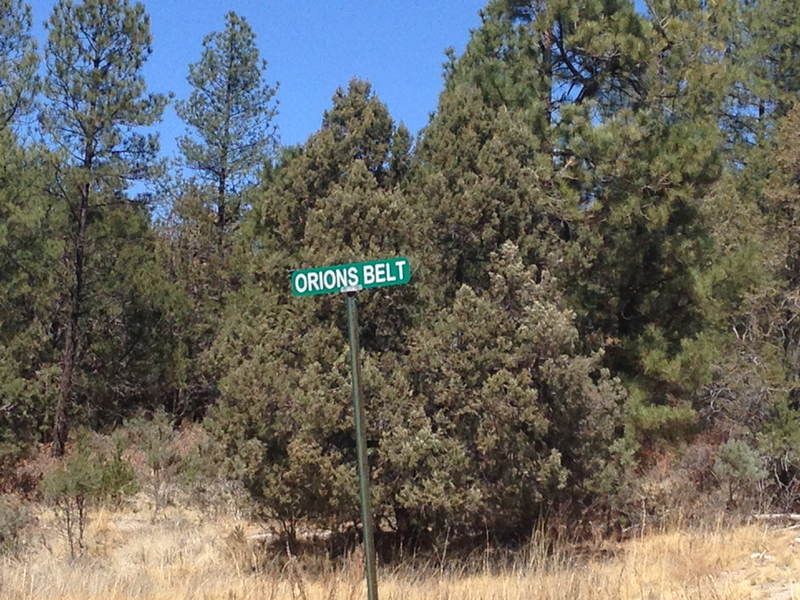 This is the actual physical address of the site: Orion’s Belt! How perfect is that! This is an actual observers development with strictly enforced covenant regarding lighting. You do not have to be an astronomer to purchase property here as opposed to NMS but the rules still apply. Bortle Sky Map of the site. We are 1-2 hours Northeast of Las Cruces which is the smaller red circle to the left and slightly lower down just above the huge red and white area which is the El Paso nebula!